Play this amazing game snack carnival party where you need to prepare amazing snacks for the carnival. Here you will be making an awesome snack for the carnival which is going to take place in this summer. 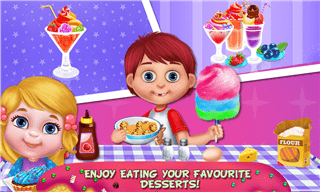 Here we added four phases in this game and it starts with the preparation of sweet donuts where you will be making yummy donuts for that you need to make a mixture of flour, salt and the brown sugar. 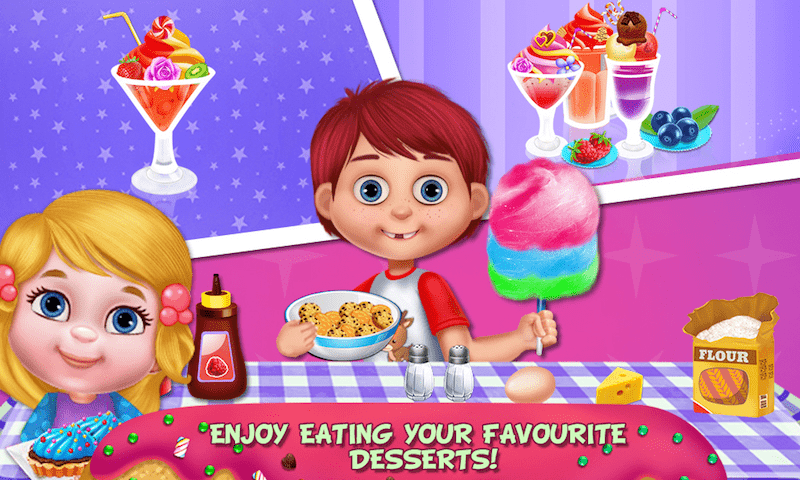 Then you need to add butter, eggs, milk, chocolate and doing these things sweet donuts will get ready. 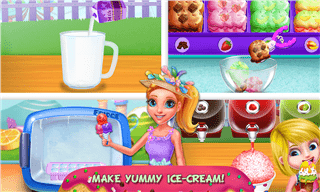 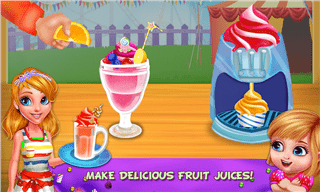 In the next phase you will be making delicious snow cone in which you will be using water and then you will have many topping options to choose from, and by then the cone will get ready. 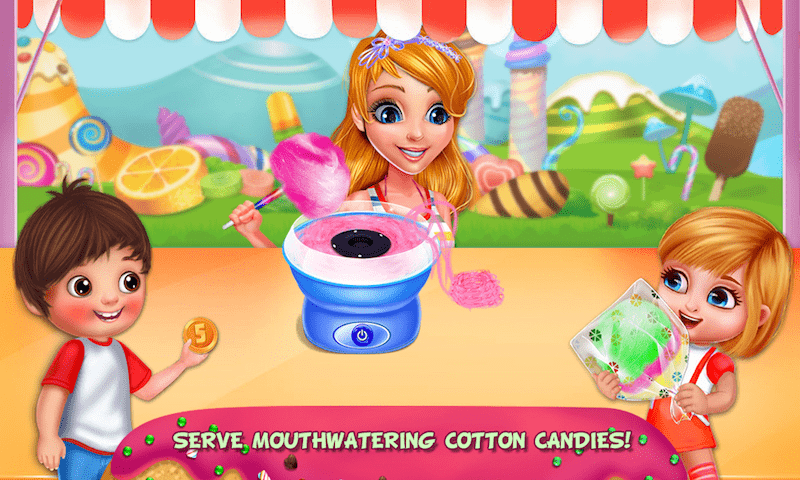 After then the same way will be making colorful cotton candy and frosty milkshake. 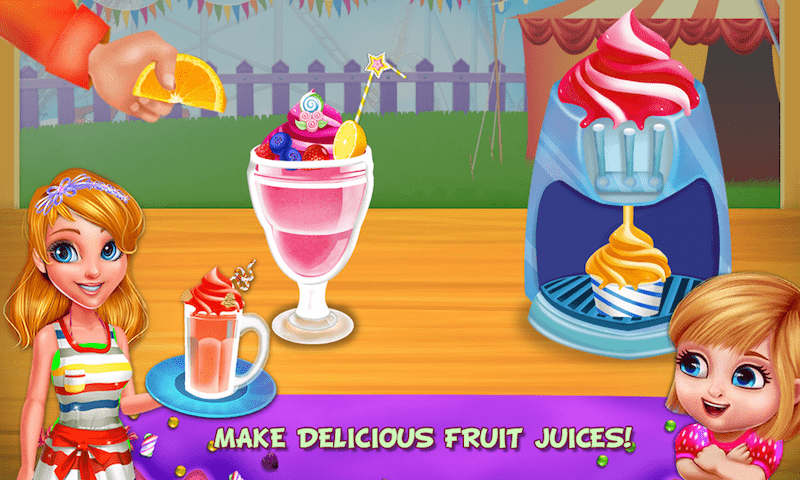 And at the last, you will be making some yummy milkshakes. 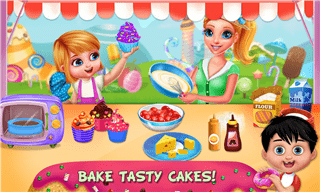 Play and enjoy this new concept of a cooking game and don't forget to share it with your best friends.